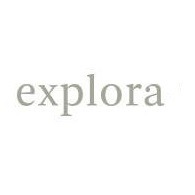 All Explora tours, river cruises, expedition cruises, and adventure trips. Find the best guided trips and expert planned vacation and holiday packages. Average rating of 5.0 for all Explora trips. Explore the wild life in Torres del Paine National Park. Visit cities Patagonia and El Chaltén. Enjoy the beauty of Fitz Roy and Torre mountain.